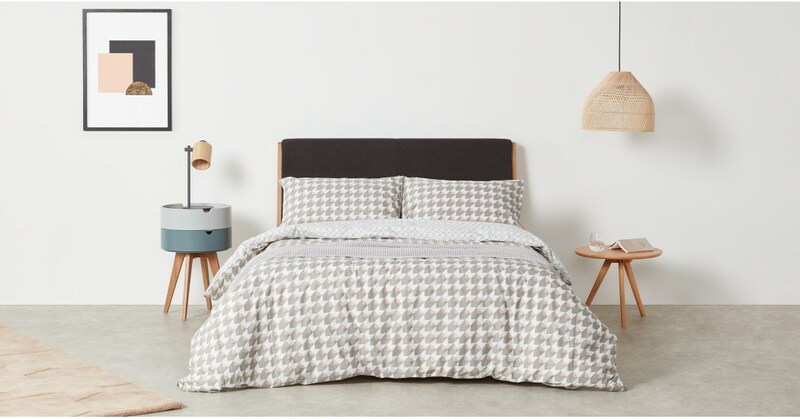 Mikka gives your bedroom a Nordic touch. Designed in our MADE Studio, this bed set makes sleek, sophisticated style, simple. Mikka’s bold geometric pattern makes a low-key statement in the bedroom. Available in pink grey and navy mustard, you’re guaranteed to find the colourway that fits your space. Breathable and lightweight, Mikka’s made from 100% cotton. So it’s easy to care for and even easier to snuggle up to.